The journey by train from Surat to Pune is scheduled to take between 7 hours 05 minutes and 9 hours 20 minutes depending upon which train you take. The distance travelled is 396 km. The train services listed below all depart from Surat City Railway Station and arrive at Pune Junction Railway Station. There are 29 train services from Surat City Railway Station to Pune Junction Railway Station. Fastest Train: The fastest train from Surat to Pune is the Barmer – Yesvantpur AC Express (Train #14806) departing at 18:35 on Fridays. Slowest Train: The slowest train from Surat to Pune is the Gwalior – Pune Weekly Express (PT) (Train #11102) departing at 10:45 on Sundays. Use the Search Form below to buy your train tickets from Surat to Pune. Surat Railway Station is 3 km by road from the Tomb of Khudawand Khan. Pune Junction Railway Station is 3.4 km by road from the Shaniwar Wada Fort. The Shaniwar Wada Fort is one of the most visited attractions in Pune. The fort was constructed between 1730 and 1745 by King Chattrapati Shahu of the Maratha Empire as his main residence and the place from where the Empire was ruled until its demise in 1818 when the British took power in Pune. The fort originally had seven storeys and in its heyday was home to over a 1,000 people. The top six storeys were destroyed by British artillery and only the base of the fort remained intact. Following the fall of the Maratha Empire British armed forces took up residence in the fort until when in 1828 much of what remained was destroyed by a fire. 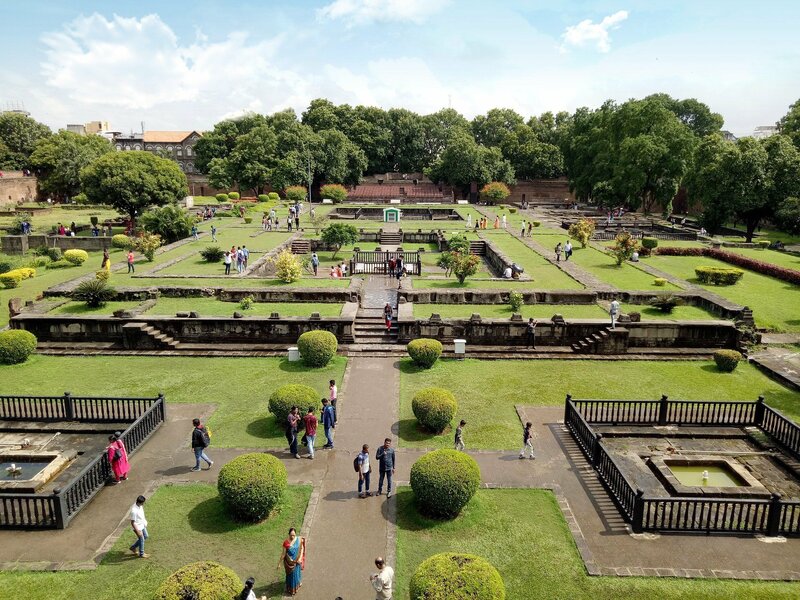 The ruins of Shaniwar Wada Fort and its restored gardens are open to visitors from 08:00 to 18:30 everyday and entry costs 5 INR for Indians and 125 INR for foreigners.